Convenient auto body repair just got a huge upgrade from the help of paintless dent removal. If your vehicle has been struck by hail or experienced a small dent in a parking lot, we can perform an immediate quote for the repair job wherever you may be. Using the newest in repair technology, we can have your dent all fixed up in just a short visit. We prepare the quote and provide repairs all on-site as long as your vehicle’s finish has not been severely compromised. With a traditional body shop, panels on your vehicle may need to be removed in order to get a complete repair job done. For hail dent removal and other small dents, this type of service is typically expensive and time-consuming. With our paintless solutions, you can get access to a dent repair service from skilled technicians. We guarantee our work 100% and we can protect the value of your vehicle by quickly fixing any damage that you may have experienced over time. You won’t have to lose your vehicle to a body shop for several hours or even days and the cost can be so affordable you may not even need to go through insurance. 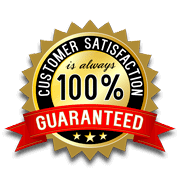 If you are unsatisfied with the repair service that we have completed, we can refinish it a second time at no additional cost to you under our 100% satisfaction guarantee. Our specialists stand behind their work and through our years of experience we take pride in being able to offer the finest in mobile dent repair in Davidson NC. If you have been worried about the idea of a dent repair for some time, we can fix hail damage and other issues through our mobile service, and it doesn’t have to increase your insurance premiums. We will work to restore the original look of your vehicle at a price that suits your budget. Our unique methods are recognized and accepted by insurance companies everywhere. If you have a dent that needs fixing fast, contact Piedmont Dent Repair in Davidson NC today. We can come out and prepare a quote for your vehicle on site anytime!